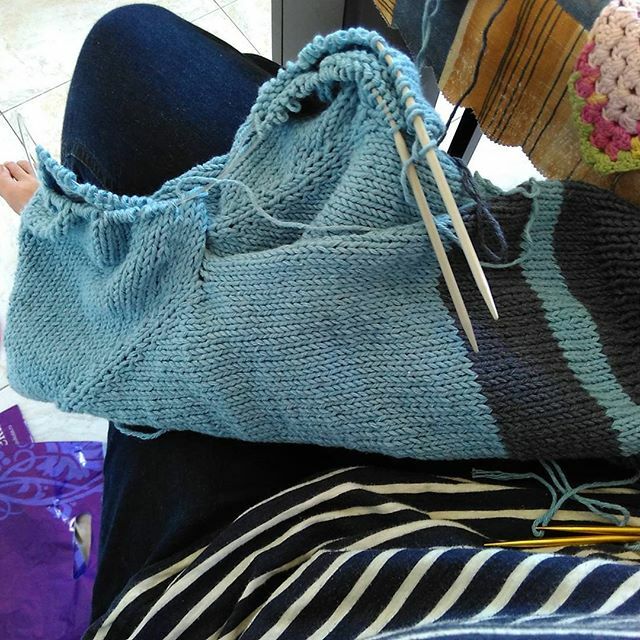 I have been doing quite a bit of knitting and crochet, and much less so writing about it. I have however linked my Instagram to the blog, so that anyone interested can see brief updates of what I am up to. My son has asked for a polo shirt that would look like one that Sasuke from Naruto wears, and I am trying really hard to finish it off, with a few rounds on sleeves left (and then I’ll have to do the applique left to do). And I have my and my daughter’s dresses to finish – hopefully both this week, and then I’ll be looking for new adventures, as the other two WIP’s I have at home are not really inspiring at the moment. Separator image Posted in My kniting & crochet and tagged with crochet, FO, knitting, nefertiti crochet top, sasuke polo shirt, wip, YOP.